Heat oil in large skillet to medium hot. Add sausage, peppers, onion; cook until sausage is no longer pink; drain. Add the tomatoes, broth, tomato paste, sugar, basil and garlic powder; heat through. While sauce is simmering, cook linguine as directed on package. 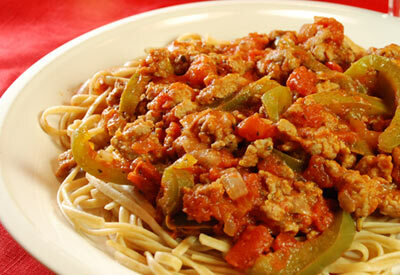 Drain and serve topped with meat sauce.